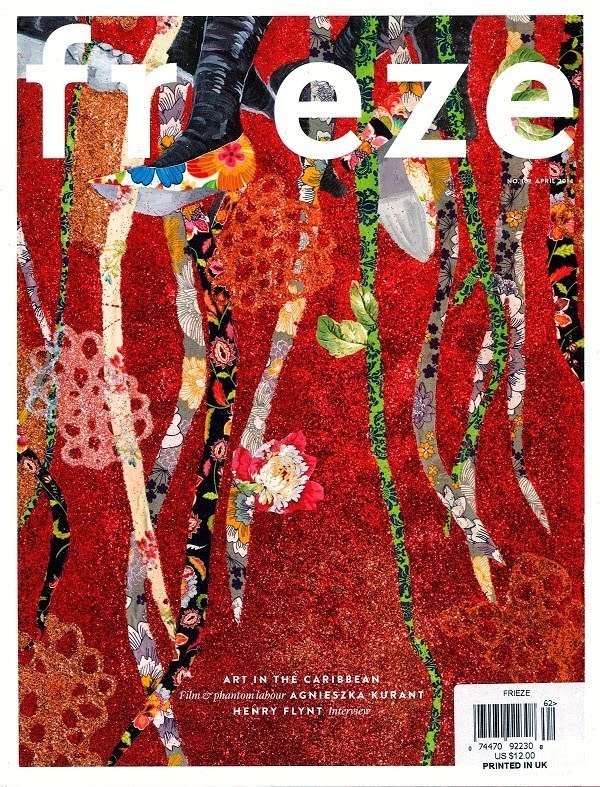 SHOW YOUR COLOURS: Patterson's 2013 work Strange Fruitz appearing on the April cover of Frieze. In another crucial respect, Patterson’s accomplishment represents a major boon for Jamaica’s women artists who’ve long struggled to match the kind of lofty recognition usually accorded their male counterparts in the post-Edna Manley era. Still, though the Jamaican art world remains a largely male-dominated territory, our women artists continue to shine, contributing soundly to the national conversation. “I think Jamaican women artists have more of a voice now than we did yesterday,” observes painter Pam Hunt-Bromfield, who was among the more than 74 artists on show at Sunday’s Liguanea Art Festival at the Chinese Benevolent Association in St. Andrew. Of that number, roughly 35 booths were run exclusively by women artists. In spite of the myriad challenges that the local art community on a whole is grappling with, Katrina Abrahams-Clarke remains optimistic, pointing out that young and emerging talents like herself are determined to show that the road ahead for Jamaican art is bright, and increasingly so thanks to the attention and opportunities afforded them by such platforms as the annual Liguanea Fest, the JCDC National Visual Arts Competition and the National Gallery of Jamaica’s Biennial, to name only a few.